Nowadays, information can be easily acquired but making effective use of it beyond what can be achieved with traditional technologies requires introduction of new concepts, re-thinking the usefulness of data and getting new tooling support. Organizations are faced with the growing amount of unprocessed data that can and should be used more intelligently. 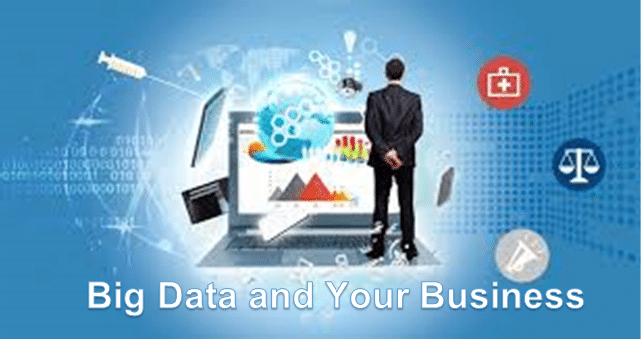 Businesses that found ways to take advantage of Big Data are ahead of the competition! Success of an organization is predicated on its ability to convert raw data from various sources into useful business information. As a rule, the more data is available, the more information can be harvested from it. In many instances, the [useful information] / [information noise] ratio in harvested data sets is very low. In many respects, extracting business information is similar to extracting gold from ore! Traditional relational database technologies are not very well suited to accommodate the volume, variety and velocity characteristics of Big Data. There is a growing number of use cases for real-time data processing and it is no longer enough to just capture, store and process Big Data using batch-oriented analytics in an offline environment (the “data-at-rest” processing paradigm). Applications are required to provide real-time, in-place data analysis without moving the data to a warehouse (the “data-in-motion” processing paradigm). Many organizations are faced with the piling up of unprocessed data that has the potential to aid their business in making informed tactical and strategic decisions. Big data makes it possible for you to gain more complete answers because you have more information. More complete answers mean more confidence in the data—which means a completely different approach to tackling problems. To learn more, visit our Big Data Training and Courseware page. At Web Age Solutions, our classroom-based training courses allow students to learn and participate in an interactive and friendly environment. We make sure we provide the very best level of teaching, with first-rate instructors and learning materials. We provide courses of varying durations to meet your requirements. With Web Age classroom training you get in person guidance and support from our experienced trainers throughout the course. You will take part in valuable labs and activities in the classroom to increase your learning potential. We make sure you will receive an all-encompassing and outstanding learning experience! Our Online IT Training delivery is real time instructor led. These Online IT Training courses utilize cloud based lab setups, hence eliminating the need for the students to do their own setup or to have a high-end computer on their end. In this environment, our expert training instructors will be able to convey information and provide you with the all the knowledge you require to learn. This method of training allows us to extend our training scope to those who may not be able to attend a classroom course itself, but would like to receive direct training and support from an instructor. You get the benefits of a classroom course, without the need to travel! You can even train from the comfort of your own home! All virtual training courses come with technical and administrative support. With Web Age Solutions, our Onsite training option allows you to select any of our courses and receive training at a venue of your choice. Onsite courses deliver training to multiple employees at once, thus reducing travel expenses and providing you with the most convenience and value for money! You can maximize your training budget and reduce the costs of employees taking time away from the workplace to train. With our many years of experience, Web Age Solutions is the market-leader of Onsite training!